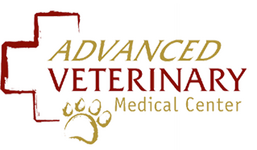 Advanced Veterinary Medical Center wants to see more cats, more often! ( Farmington Hills , MI ) ( 5/14/2013 ) — There are 82 million pet cats in the U.S. , compared with 72 million dogs. Cats are the most popular house pet. Yet studies show cats visit the veterinarian less frequently than dogs . The truth is, cats need regular veterinary care, including annual exams and vaccinations, just like dogs do. And because they are naturally adept at hiding signs of illness, annual exams are especially important for early diagnosis of health problems. That’s why Advanced Veterinary Medical Center is participating in the “Have we seen your cat lately? ™” national awareness campaign and taking steps to raise awareness about the importance of regular veterinary care for cats. and Preventative Care by Life Stages. Advanced Veterinary Medical Center encourages all cat owners to call their veterinarians this week to schedule wellness exams for their cats. The nationwide “Have we seen your cat lately?” awareness program is sponsored by Boehringer Ingelheim Vetmedica, Inc.